After a long wait and several delays – one of which was caused by the addition of a delay mode, ironically – I present Loupe 2. What is Loupe? It’s a Reaktor ensemble that assigns freeform sections of a sample to different MIDI notes and allows them to be pitched, reversed, resized, filtered and enveloped individually. The incoming MIDI notes do not repitch the sample directly , but you can manually adjust each slice / key’s tuning to create more complex melodic variation out of your source sample. It works fantastically well to transform and remix a five to ten second musical phrase, a beat loop, a few seconds of a full song, or even a field recording of a drunk guy swearing at a lamp post. 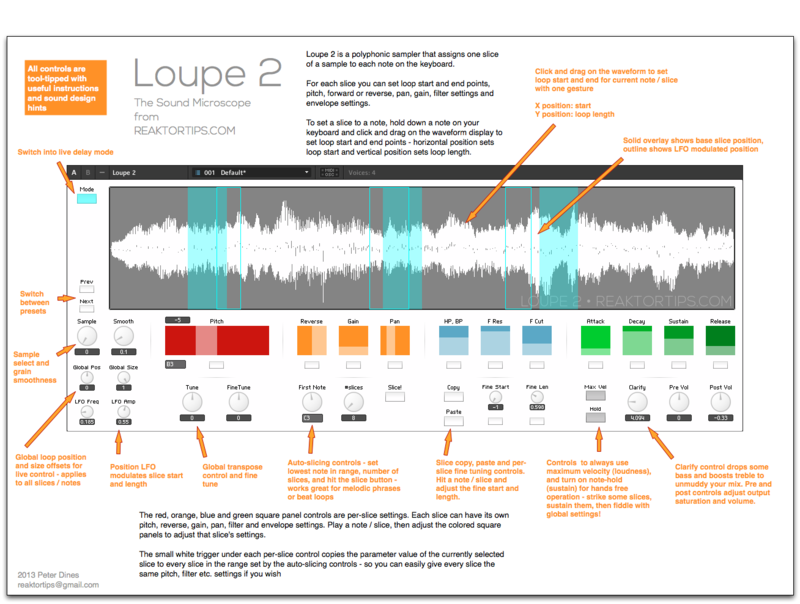 There is music lurking everywhere, sometimes in other music, sometimes in the notes between the notes, in the hissy crackle of decaying note tails on old vinyl samples, and Loupe will help you find it. Update May 8, 2013: Loupe 2.0.1 now has a per-slice “single shot” option so a slice plays only once even if you hold down the note. This is much more useful for sliced beats especially. I’ve added a few snaps to showcase the one shot feature. There is also an improved button style for both the “reverse” and “single shot” controls – just click on ’em instead of clicking and dragging. Also, I’ve added an envelope to the slice animation, so the markers fade in and out with the envelope. It’s a subtle difference but looks pretty snazzy. I will have more info and demos soon regarding the new features but I wanted to get this update out to the user base ASAP. Download links have been updated and the Loupe 2 password you received will decrypt this update. Enjoy! It is super CPU friendly! On my 4 year old Core 2 Duo iMac, it uses around 6% CPU with four voices – that’s 6% of one core, mind. 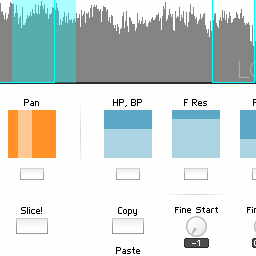 If you want to use more voices, just adjust the instrument properties tab, but I find four is a nice balance since sampled material tends to be timbrally rich to begin with and you probably don’t want too many voices playing at once. Autoslicing function – set base note, number of slices, and hit the slice button to automatically map sample segments across the keyboard. 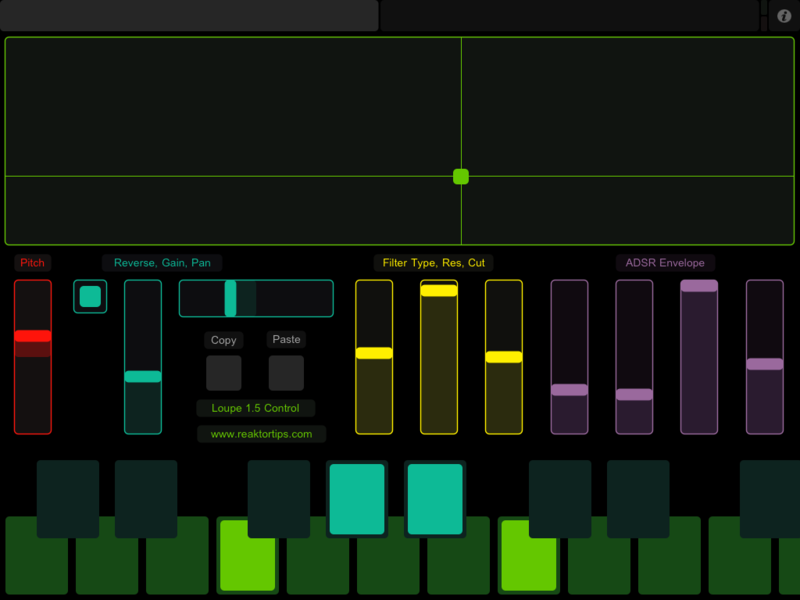 Works great on beatloops as well as melodic material! First of all, it looks nicer! I don’t know about you but to me looks matter and I find I use a tool more if it’s visually appealing. The controls have been rearranged into more logical groupings. There is a new autoslice feature. 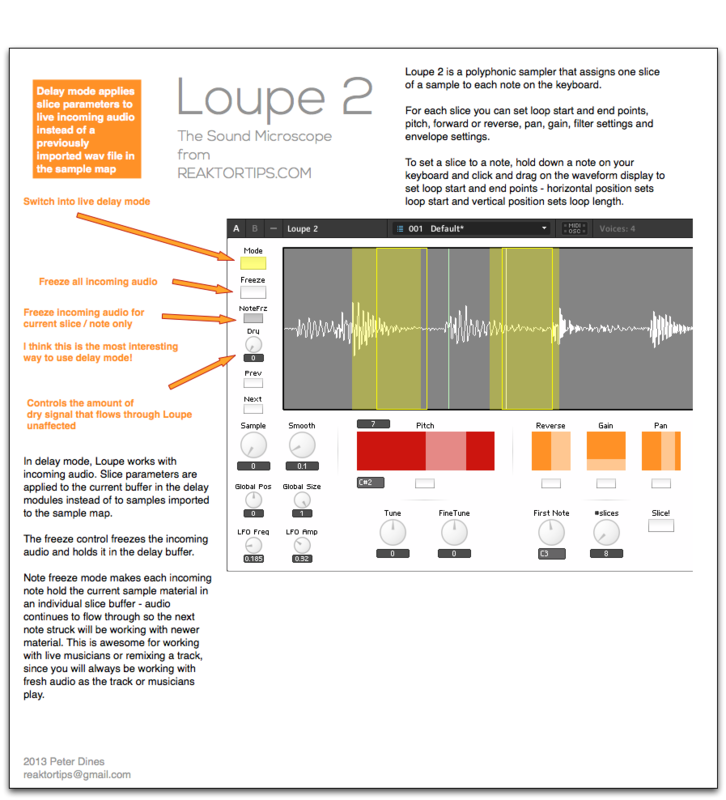 Select a first note and a number of slices and Loupe will slice the sample into that number of slices and assign the slices to that note and the subsequent notes going upward on the keyboard. Let’s say you create twelve slices from middle C upwards. If you then slice from the C above middle C upwards in 16 slices, the previously sliced middle C range will be undisturbed. The “set all” controls below the per-slice parameters have also been modified to only affect the currently selected range. Note: in the presets in Loupe 2, I’ve used the the 16 notes from middle C upwards. Naturally, you can still assign freeform loop segments by dragging on the waveform with the mouse. There are also fine start and fine length controls that are easily MIDI-assignable – after slicing a wave into even chunks, you can use a MIDI (or OSC) controller to play one note after another and fine tune the per-loop position and size from your control surface. The reverse control now reverses the exact current area of a slice, instead of flipping over to the area prior to the current slice area. I find this is more intuitive and is what users expect from a reverse control. It also works a lot better with drum loops. Why didn’t it work this way in the first place? Mea culpa, gentlemen, mea culpa. There is now a “clarify” control that drops the bass and boosts the treble, a one gesture EQ effect that I often use to help a sampled musical phrase fit into a new track and stand out without muddying the mix. 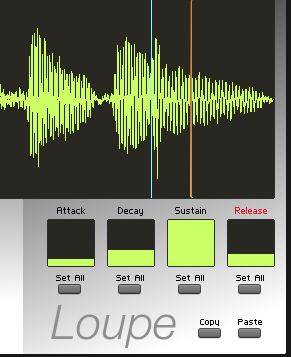 There’s also a number of small bugfixes and enhancements – little persnickety things I discovered as I overhauled the instrument – as well as new samples and presets, though if Loupe is the kind of instrument that appeals to you, you will certainly want to import your own samples and create your own sounds. Loupe is a creative tool, not a rompler. If you have a few gigabytes of field recordings and choice vinyl and tape samples, have I got the tool for you…! The encrypted archive for Loupe 2 can be downloaded here. When you buy, you will be emailed a code to unlock the archive. Please provide a valid email address!! Loupe 2 is a Reaktor instrument and requires a full installation of Reaktor 5.8.0 or newer. 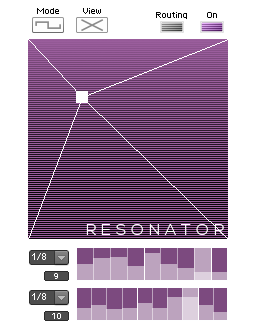 It will not work with Reaktor Player. Loupe 2 with its major new features is a separate instrument from Loupe 1 and it won’t be a free upgrade to Loupe 1 users. I am however introducing an amnesty period – if you bought Loupe anytime from September 2012 until now, you get Loupe 2 for free. Please be patient as I send out updates. Now, what about my other sampling instruments – Mirage and Paramdrum? Am I going to upgrade them to “version 2” with major new features and charge again? No, but I will be reskinning them with the new look, plus a few minor tweaks, as point releases in the near term. Special thanks to Felix Petrescu of Makunouchi Bento for his invaluable assistance beta testing as well as acting as a software muse, pushing for features that have made Loupe a better instrument. Forgot to add: Loupe 2 comes with TouchOSC support – a template is included in the package. Set up bi-directional OSC, and selecting a slice in Loupe updates the controls on the iPad which is… pretty cool. Loupe 2.0.2 bugfix now available – corrected a problem with auto-slicing where moving the slice # control after slicing would change the sample position. This entry was posted in Ensemble, ensembles, Granular, Loupe, Sampler Pack and tagged beat loop, digital delay, grain delay, granular delay, instrument, loop slicing, reaktor, remix, sample mangler, Sampler, Sampling, Slicing on April 15, 2013 by peterdines. From now on, buying Loupe on this page also gets you a copy of Loupe 2! Here’s the release version of Loupe 1.5, with some added features, bugfixes, and a new layout for TouchOSC. Here’s a better look at the TouchOSC layout. Above is the slice page. 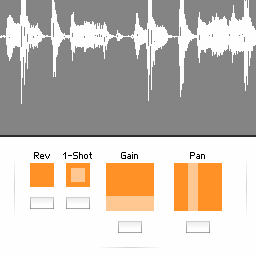 Each of the sliders gets updated from Reaktor when you trigger a new slice. 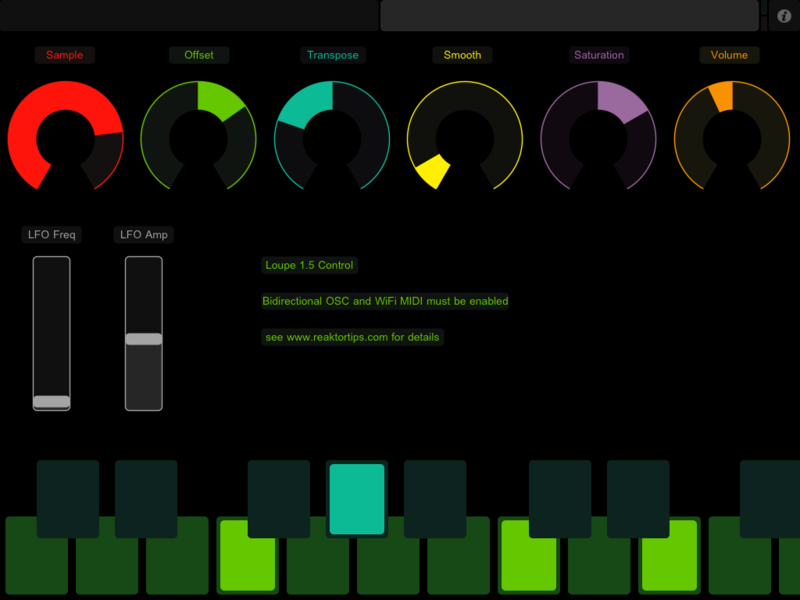 This lets you see the loop area, filter settings, envelope settings, etc. of each slice and adjust them. Copy and paste buttons let you copy slice parameters to a different key – handy if you want the same thing on a different key except for panning, or reverse playback. 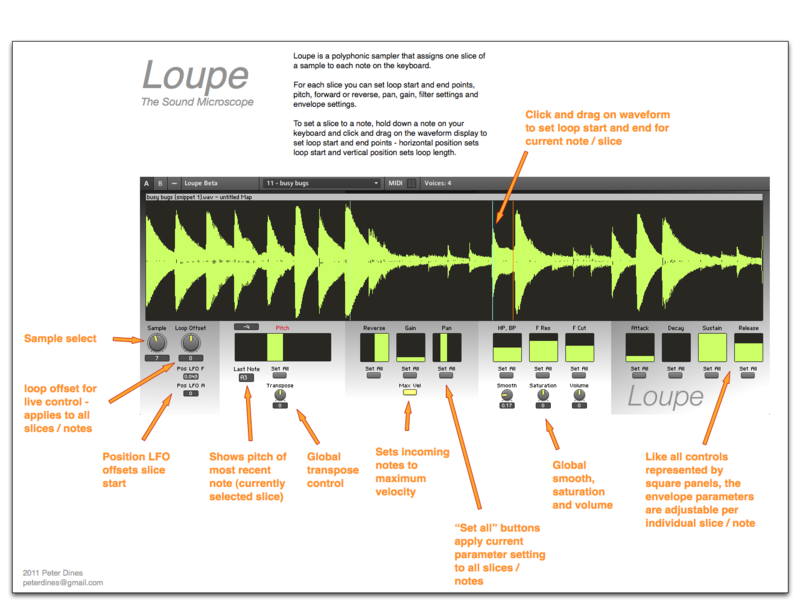 There’s no way to get the sample waveform to display in TouchOSC, but the large green XY pad works the same way as the Reaktor Loupe GUI – X position sets loop position, Y sets loop length. I actually prefer working with my ears this way instead of looking at the display – it’s a more hardware-y approach. Above is the global page. This selects the sample, global position offset, position LFO and other global variables. 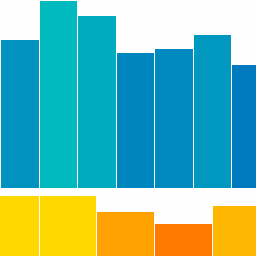 You can use this as a performance view once the individual slices and keys are adjusted to your liking. 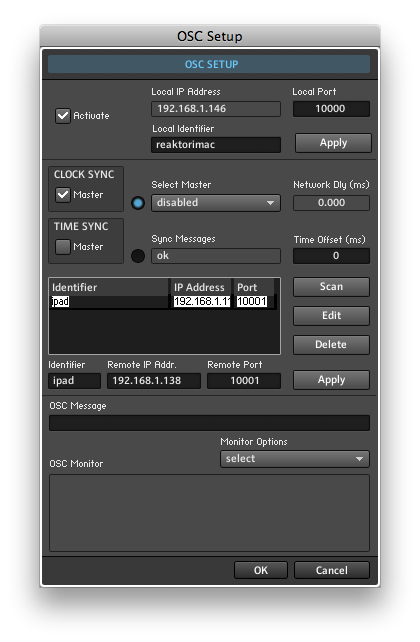 Selecting your iPad and hitting “Connect” should be enough to enable the session, as long as you have CoreMIDI enabled in TouchOSC. Windows users can use rtpMIDI. Whew! This may seem like a slog at first glance, but it becomes clearer when you sit down and set up the connections, and the result is worth it. It’s magical in a dark room late at night, just you and your headphones and the controls and samples. Let me know what you think, how it’s working for you and any suggestions for a better layout. If this is your first look at Loupe, you might also be interested in the other two instruments in my sampler pack, Mirage and Frame 2. Update: here is a download of the TouchOSC template on its own, if you don’t have Loupe and just want to check out the mappings and naming conventions I used. I didn’t know at first that leaving a TouchOSC control’s OSC address pattern as “auto” named it according to /pagename/controlname. Quite handy for homing in on the address you want when you’re trying to select from a long dropdown menu in Reaktor. May 15th minor update: Loupe version 1.5.1 uploaded – fixes OSC address patterns for copy and paste buttons. 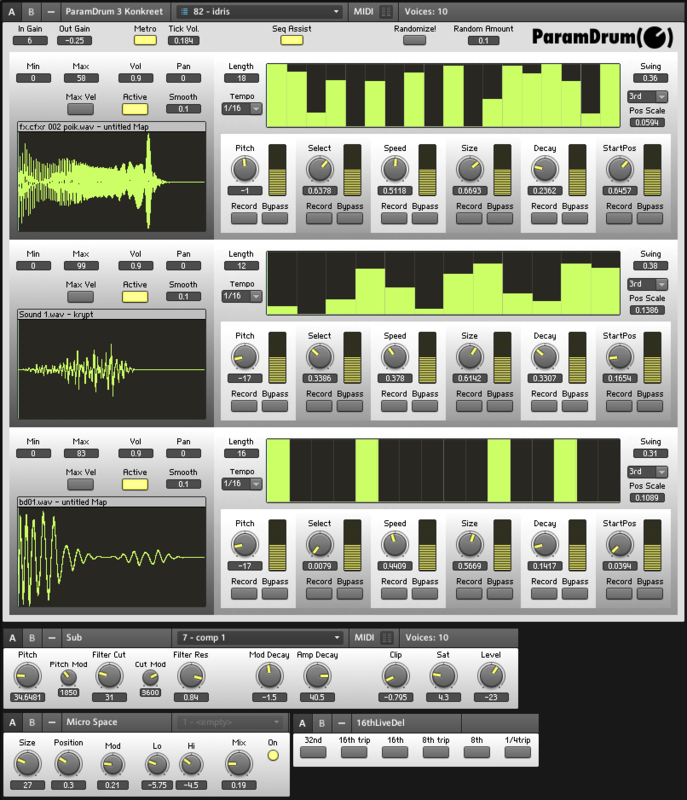 This entry was posted in Downloads, Ensemble, ensembles, Granular, granular sampler, Loupe, Sampler Pack and tagged instrument, OSC, reaktor, Sampling, touchosc on May 11, 2011 by peterdines. I’ve added some enhancements and fixed some bugs. Most notably, there is now a key/slice copy and paste function. If you want to start with a key/slice, copy it to a new key and modify it, here’s what you do: press the key (middle C for example) that contains the settings you want to copy, click the copy button, then press the destination key (C sharp for example) and click the paste button. Then you can make the new copy as subtly or vastly different as you please. I’ve nailed down a crash problem that some of you may have been encountering when playing different slices very quickly from a MIDI keyboard (or the computer keyboard for that matter). All the parameter IDs have been sorted and compressed to aid VST automation in a host. The 1.5 beta can be downloaded here. The archive password you received previously will work with this new version. 1.5 should work perfectly but I’m calling it a beta until more people than me have tested it! For more information and to purchase, click here. This entry was posted in Downloads, Ensemble, ensembles, Granular, granular sampler, Loupe, Sampler Pack and tagged instrument, loop slicer, reaktor on April 13, 2011 by peterdines. Note: from now on buying Loupe on this page automatically gets you a copy of the new Loupe 2 as well! 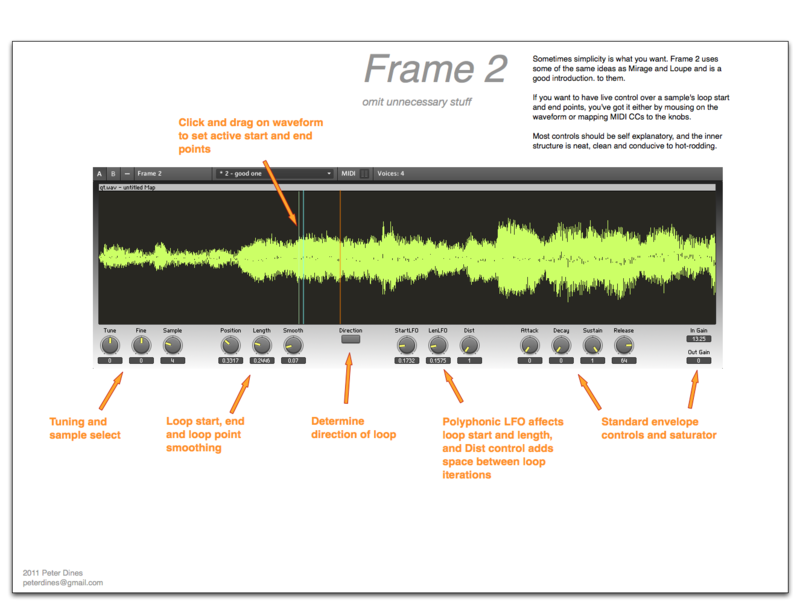 I’m pleased to release three new granular sampling instruments for Reaktor: Frame 2, Loupe and Mirage. How it works: hit a MIDI key and hold, then click and drag to set loop location and length in one gesture, then click and drag in the XY controllers to set pitch, pan, gain, envelope, reverse / forward and filter parameters. Each slice / note has its own settings. It’s great for remixing. By default it has four voices but set more in the instrument properties if you want ’em. Like Frame 2, Loupe is self documenting through extensive tool-tips. None of the controls are too small or too fiddly. You can learn how to use it in minutes but I think you’ll find a million uses for it. This reflects my instrument building philosophy that an instrument should give you musical leverage without making you feel like you’re endlessly flipping switches on a room-sized computer from the 1960s. I use a Maschine MIDI controller and like to map each row of four pads to musically related slices so I can play a particular idea or phrase on different rows. A different pad (or MIDI key) can have the same slice but with a different length, or a different pitch, or reversed and panned differently, or all of the above. The third weapon in the sampling pack arsenal is Mirage. Mirage is a granular sampler inspired by three things – the music of Tim Hecker, my laziness, and my disorganization. 😉 It’s sort of like a trapper keeper for ambient sampling. 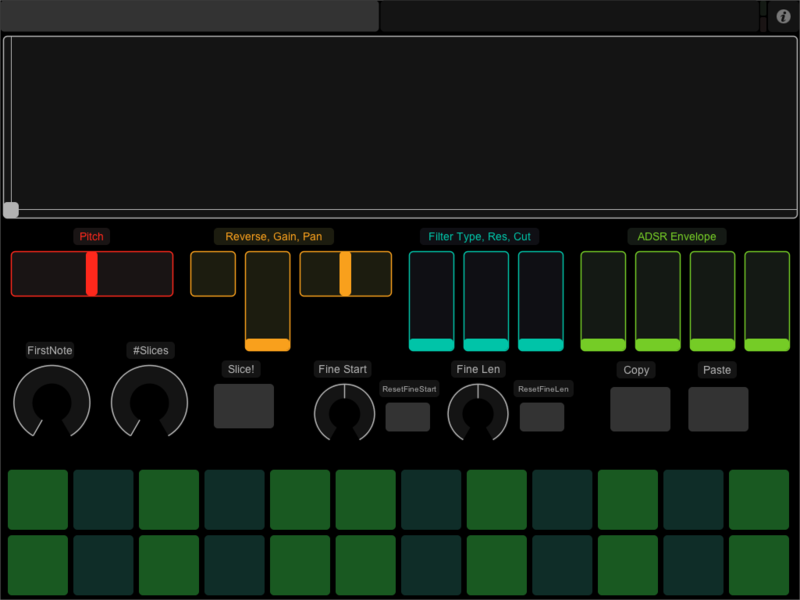 It lets you select an area of a sample to work with, then allows you to set your granular parameters, per-voice filter settings and pan, voice retrigger frequency, and other things – and crucially, it remembers the pitches you play and saves them with a snapshot when using the “Hold” button. 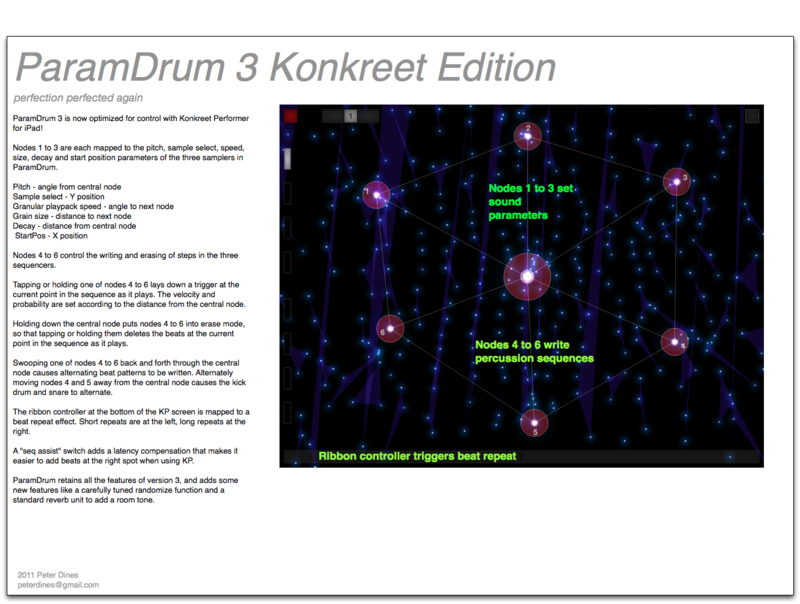 This creates a host-independent sketchbook for sound design and composition. When you stumble upon a magic combination of samples, settings and notes, everything saves together in the instrument for later recall, refinement and mixing. When you DO find something magical, you’ll find you can just sit there and listen to a snap for an indecent amount of time as the separate voices crawl across the waveform hypnotically. 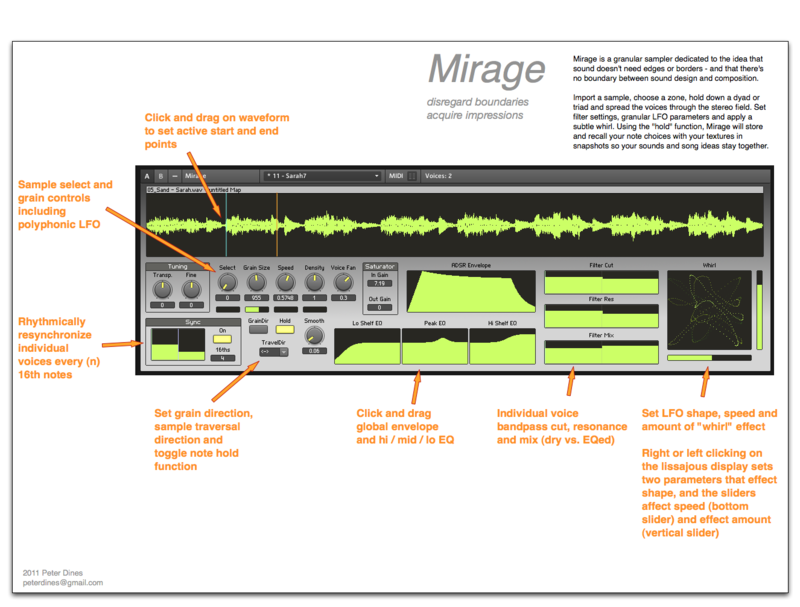 Mirage is aimed at a different musical goal than Loupe – you might say that if Loupe is a paintbrush for cubism then Mirage is one for impressionism. Both instruments differ, then, from the typical granular sampling feel and sound which in my mind is more like pointillism. If you want to know more leave a question in the comments or hit me up on twitter. Special thanks to Felix Petrescu for beta testing Loupe and helping to make it a better instrument! NOTE: these ensembles are built for the latest full version of Reaktor – version 5.5.1 – it’s a free update if you have 5.15. Several newbies have asked me about adding samples. See here and the resource page. This entry was posted in Downloads, Ensemble, ensembles, Granular, granular sampler, Loupe, Mirage, Sampler Pack and tagged instrument, reaktor, Sampling on February 21, 2011 by peterdines.